Education is considered the of noblest professions. Education has not only transformed lives, it also offers profitable business opportunities for multiple edupreneurs. One such source of profits is investing in Preschools. Preschools offer the toddler a conducive environment for his/her first learning experience. It is the first step in the learning curve. So, this first step needs to be in the correct direction in order to make life experiences correct. Hence, investing in quality preschools becomes crucial. 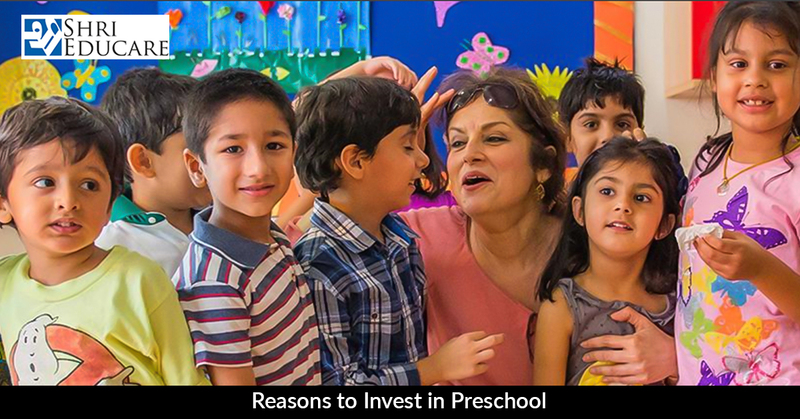 Today we are going to discuss a few reasons as to why you should invest in preschools. As a preschool owner, you are nurturing the children in their formative years. This will give you a sense of self-satisfaction, which can make anyone internally happy. Opening a preschool has limited legal issues and licensing involved is simple. Hence, the challenges involved are not as many as those for a K-12 School. Preschool venture lets you spend quality time with family. You are required to work only for a small part of the day. In case you are opting for a preschool franchise, you are making the right decision. Top franchisees like Shri Educare Limited, provides you with all the support from inception to implementation. They help you do all the planning by supporting you with a well-designed Curriculum, Teacher Development through Trainings, Pre-School Operations, Digital Marketing and lot more. With an increase in disposable income and awareness among parents about Preschools, the concept of the preschool franchise seems to be pacing up. It is considered one of the highly profitable business opportunities today. The team of experts at Shri Educare will help you have a clear vision for a preschool and the way forward to realize that vision. The school’s establishment and functioning is taken care by them. Do not wait any longer, get in touch with the SEL team today. A new school opened in your neighborhood but it is not running smoothly. The school owners opened a very beautiful school still it is not running as expected. This makes you think whether you should Start a School or not. You are worried about its success. Have you thought about why it is not functioning properly? Let us tell you what all one needs when thinking of owning a school. Starting with excellence is essential. Establishing policies and procedures etc. That is like so much to do but in a very limited time. Trying to complete all these, alone will certainly create issues for you. 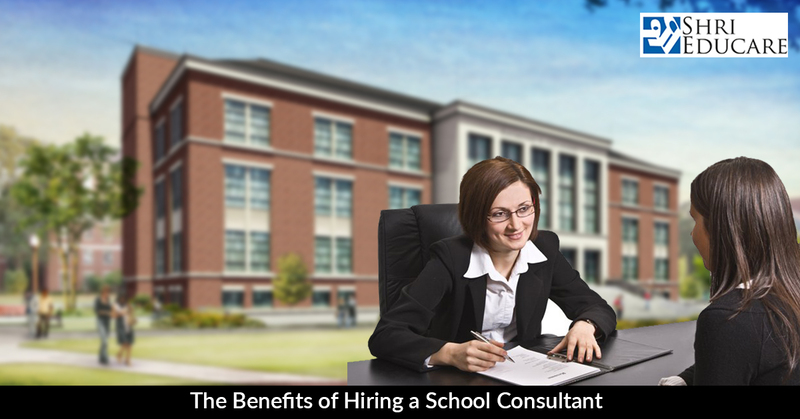 Having an experienced School Consultant on board can save a lot of your precious time, and get you on the right track. Experience, when combined with a determined focus on development and implementation of systems, ensure that the schools move forward rapidly and sustainably. This can only be done with the help of school consultants who will help you every bit. Let us give you a brief overview as to how they can benefit you. How many rooms are required? What should be the size of the rooms? What all security measures we need to take for kids? How much space is required for parking, assembly, and playground? These questions and many more questions related to the construction of the school, an experienced consultant could easily plan all these things. With the help of his resources, he can get the building designed as per the school’s requirements. Defining the educational plan, designing the curriculum aimed at the overall growth of kids and aligned to the school’s philosophy all these are very important for the smooth functioning of the school. Also getting approvals from the authorities can be extremely tiring & lengthy process. At such a time, experienced assistance can help you a lot. Having an open-minded, positive, adaptable, and student-focused teacher in the school is a plus point for the school. He/ she will have higher levels of energy and commitment. Finding such teacher is a pain. The consultant will help you decide upon which factors to take care of while recruiting the staff. They will also guide you regarding the salary to be given too. Setting up policies for HR, finance, admissions, attendance, security, curriculum, and reporting is essential to start the school. Such systems, policies, and procedures provide the foundation for your school. Also deciding upon the marketing plan of the school is very important too, as it will bring the school to the notice of people. A consultant will help you in deciding upon all these things before starting school. This will eventually make the road to success bit smooth. After getting this brief about the benefits of having a consultant, you must be thinking about getting a consultant on board. However, you do not want any random person or organization to do this for you. Do not worry. For your school concept, When you have consultants with a proven record of accomplishment, like Shri Educare Limited (SEL). The dedicated professionals from the SEL team ensure that you are guided and trained with every intricacy involved in the process of starting a school.